Allsize Storage is family owned for over 30 years. We are managed by a team of professionals that have grown up in this area. 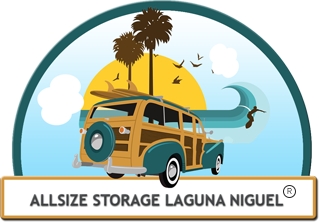 This allows us to better understand your needs and offer you a variety of storage options in South Orange County. We have a clean facility and security gates. We go out of our way to individualize your move and get to know you personally. Our professional, secured facility, and competitive prices are the reasons why we are highly trusted by our customers. We work hard to meet all of your storage needs and to maintain a clean and secure environment for your belongings. Whether you are looking for household or commercial storage units, military or student storage, we’ve got just the right storage space for you! Relieve stress and worry by providing safe secure storage for Personal/Professional property. Offer the customer consistently high value. Create a lasting experience, so that our tenant's refer us with their family and friends, becoming repeat customers.